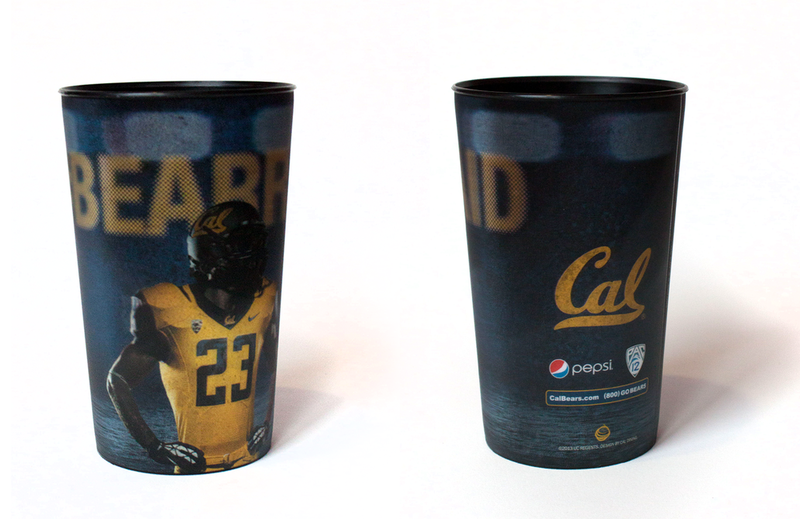 In the summer of 2012, Cal Dining signed a contract with Cal Athletics to become the sole food provider at the recently renovated California Memorial Stadium and other athletics facilities. The marketing team at Cal Dining, namely myself under the leadership of Patrice Thomas was responsible for all of the menu boards and food-related marketing collateral throughout the stadium. As a fledgling partnership, we produced countless menu changes, uniforms, photos, stickers, souvenir buckets and cups. It was a fun opportunity to help brand the food operations in keeping with Cal Athletics' existing brand, but an enormous undertaking given the size of our team on top of day-to-day marketing communications for the 17 campus dining halls and restaurants. Cal Dining needed a traceable method for handing out gift funds or reparations that could be used at the cash registers. In light of gift cards, which could serve a similar purpose, we designed Bear Bucks. I took inspiration from unique forms of paper currency to create a product that would not be easily replicated and in the spirit of our brand.